This marble square pen stand is sure to add the touch of colorfulness to your house. The presence of such a thing helps to add Read More..a sense of positivity to your place. You can keep it on your office table or your drawing area or just present it to someone. people who crave for different cultural quotient will find this product quite attractive. the pen stand has red, yellow and green color adorning it. 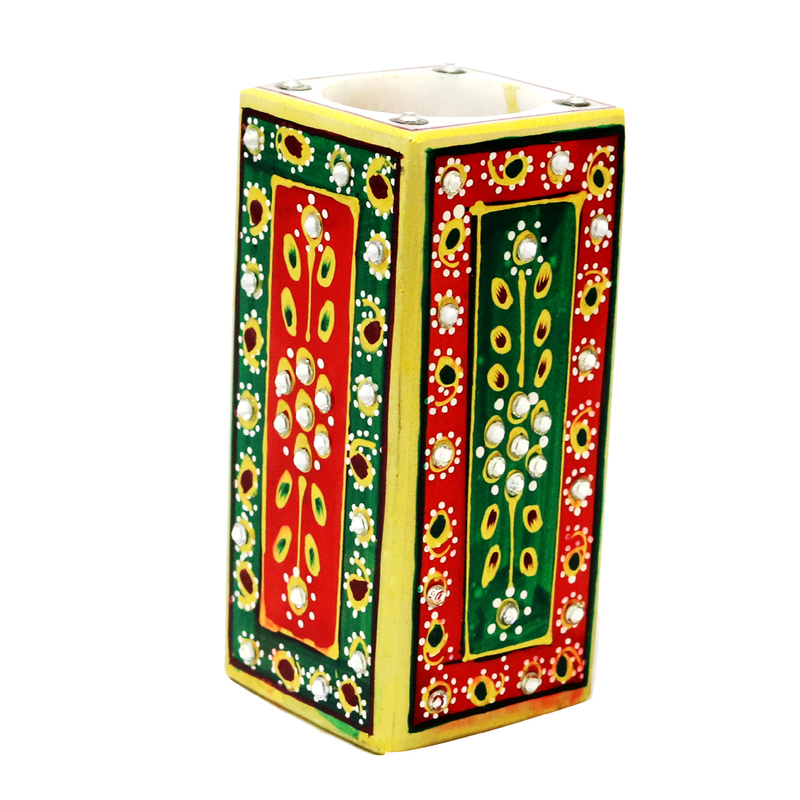 meenakari and kundan designs further enhances the beauty of this pen stand. Show Less..